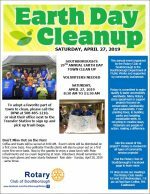 The Rotary Club is sponsoring it’s 29th Annual Earth Day Clean Up on April 27th. That Saturday, community members are encouraged to volunteer time cleaning our streets. 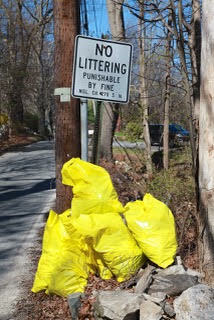 The starting time is 8:00 am at the Southborough DPW Building (next to the Transfer Station). This year, there’s again an additional bonus for showing up that morning – free “pollinator plants” will also be given away, first come first served. Volunteers are welcomed to celebrate their efforts at the Gazebo in front of the Fire Station at noon. This year, the free pizza lunch will come with ice cream and “Polar refreshments”. In between breakfast and lunch, you’ll be helping to clean up the streets in town. Remember to be prepared with your own work gloves and “sturdy footwear”. Have a favorite spot that needs TLC? To adopt a favorite street in advance, call Southborough’s Department of Public Works at 508-485-1210 or visit the office. Or just show up that morning to pick a street and grab your bags. 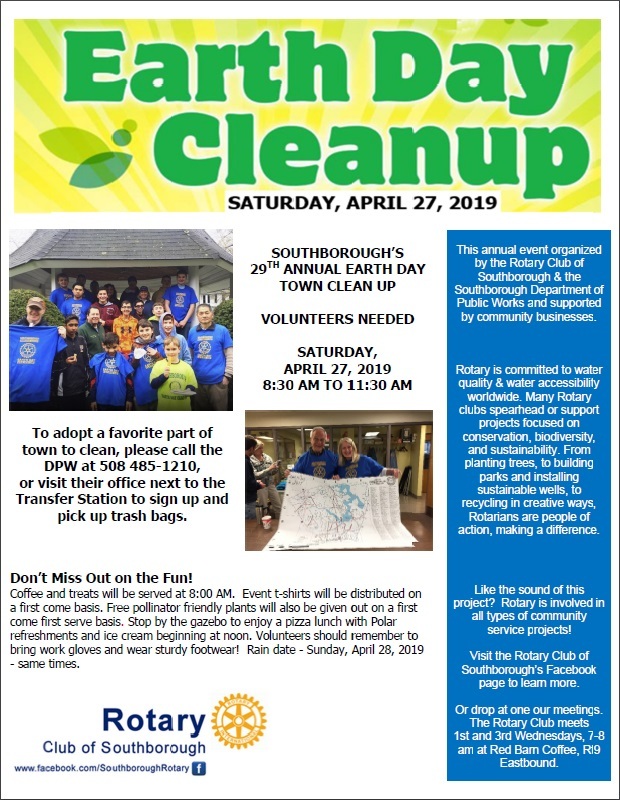 Also part of this year’s Earth Day Celebration is a poster contest for kids by the Southborough and Northborough Conservation Departments. Stay tuned for more details.